A fantastic site for students and fishermen alike. Follow striped bass with scientists from Rutgers University. Site includes activities, background information, and lesson plans. 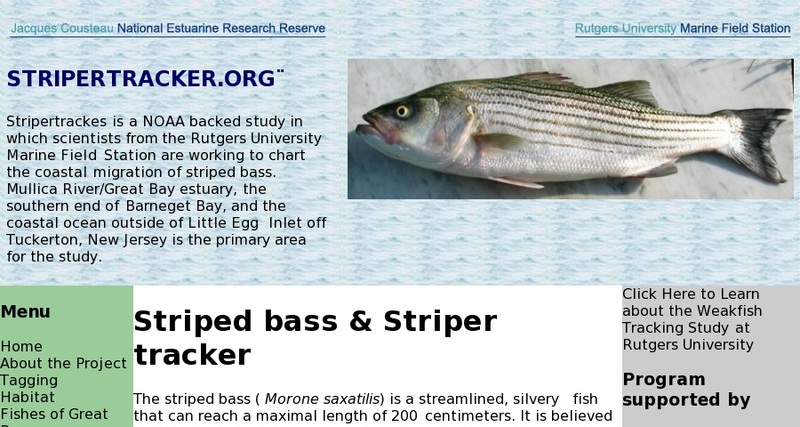 Site also provides information on adopting tagged stripers, a great class project that incorporates various disciplines of marine science. Kids section features several fishing games and a habitat tour. The scientist log book gives weekly updates on the project since its start in 2002.